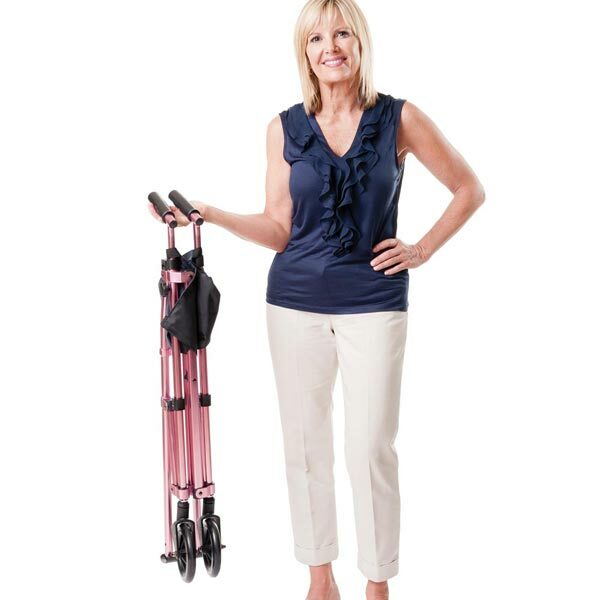 The EZ Fold-N-Go Walker is the world's smallest folding walker to make walking and travelling Stress-Free! 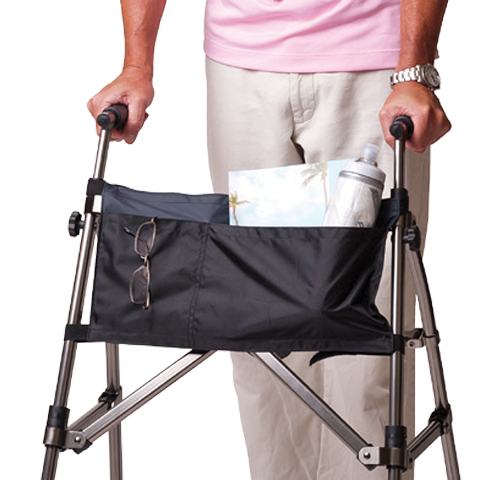 Its easy-fold technology allows you to fold the walker in seconds with the lift of a finger for fast and easy storage in small spaces. When you're ready to use it simply pull the handles apart and you're ready to go. It only weighs 3.2kg (7lb) so it is extremely portable and light to lift. It has 2 x 6 inch swivel wheels and rear glide feet which allows for trouble-free manoeuvring over all surfaces. So well built and strong is the EZ Fold-N-Go, it has been successfully tested to support users up to 180kg or 28 stone. And to fit your individual style - it comes in 3 different colours (Regal Rose, Black Walnut and Cobalt Blue) - Collapsed Dimension: 20 x 13 x 91cm (8 x 5 x 36") - Wheels: 6" diameter wheels - Height Adjustment: 81 to 98cm (32 to 35") for users 4ཆ" to 6Ǝ" - Max User Weight: 180kg (28 stone). Excellent quality and perfect for my father-in-law's needs. Easily transportable. Highly recommended.